These interchangeable terms are used to describe clothes that are built to last and kinder to the environment and people making them. Sounds like common sense really doesn’t it? But the making of clothes has, over the past 50 years, morphed into a giant global activity with complicated and exploitative supply chains that can actually make these common sense, simple values difficult to achieve for many big brands. production methods that are kinder to the environment, for example by using natural fibres and more sustainable new fibres eg. bamboo, minimising waste and using more environmentally safe methods of dyeing and printing. This way of working can result in classic styles and well-made clothes that are built to last. It also places some responsibility on the customer too, to find your own style rather than following faddy short-lived trends. Ethical / slow fashion has lots of cross-overs into both the craft world as well as the world of styling and “curated” wardrobes (embracing the concept of buying less but better). I think it can also be directly compared with the food industry (which is much further along this path than the fashion industry): just imagine going to a restaurant and ordering a meat dish, then the waiter wasn’t able to tell you what animal it had come from, how it had been cooked and when. I’ll bet you wouldn’t dream of eating it, why should it be different for the clothes that we wear on our backs? WHY BUY ETHICAL AND HOW IS IT LINKED TO SEWING? Once you start to make your own clothes, all of the things trying to be addressed by ethical / slow fashion come into your consciousness, possibly for the first time. The main thing that sewing your own clothes gives you is control. Shop bought high street clothes can often deliver an “it will do” garment with issues including: poor quality fabric, not quite the right fit, perfect if only it was a bit longer / wider / narrower / fuller, etc, just the wrong colour and so on and so on. The feel good factor is the thing that crops up again and again in my sewing classes, especially among people who have just started learning how to make their own clothes. 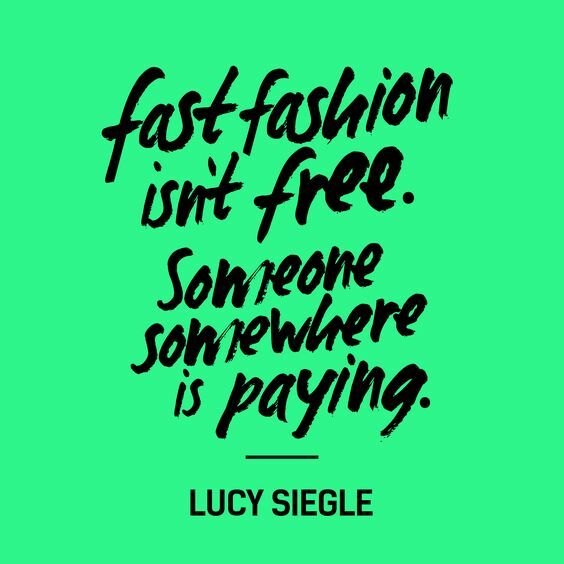 Once you know the time, skill and costs involved in making your own clothes, you start to look at high street fashion through different eyes. You start to question; why should someone in a distant country who is a human being with the same feelings, needs and ambitions as me, be forced to work for poor wages, forced to work overtime, have their life put at risk in unsafe factories and have very little time off, just to make a garment so cheap that if I only wear it once or twice it doesn’t matter? Is that really a price worth paying or could I easily pay more without even really thinking about it? Personally, I want to know that any ready-to-wear clothes that I buy are made in safe working environments and that the people who made them are able to take pride in their work, have had some training to build valuable life-long skills, felt valued for those skills and were paid a wage which fairly reflected their efforts. My day-to-day wardrobe is easily 80% made by me and I’d say most days I’m wearing mostly me-mades, not through a conscious effort to choose clothes that I’ve made, but because they’re the clothes I most enjoy wearing (for all the reasons mentioned earlier). I do allow myself to buy shoes, winter jackets and coats, sportswear and underwear (although I have made my own pants in the past). I also buy accessories such as bags, belts, hats and gloves and when I do buy, I try my best to buy from a reputable company who I can see is trying to employ some ethical / slow fashion principles. 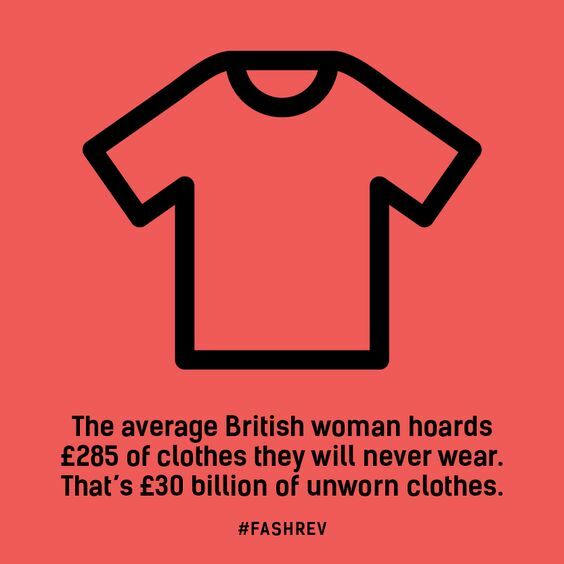 I have seen both extremes of the high street fashion industry in the UK first hand; I worked as a designer for an M&S supplier while they still did some manufacturing in the UK, only then to see all those factories closed down in the space of a few years and hundreds of skilled jobs lost. My first job as a fashion design graduate was as a boyswear designer for Matalan, before I moved on to become the product development manager for a newly established organic cotton brand called Gossypium. This gave me a great insight into what needed to change and what is actually possible in the clothing industry. My next job couldn’t have been more different, at Gossypium I worked with cotton farmers, textile specialists, garment makers and home weavers, in the UK and in India. 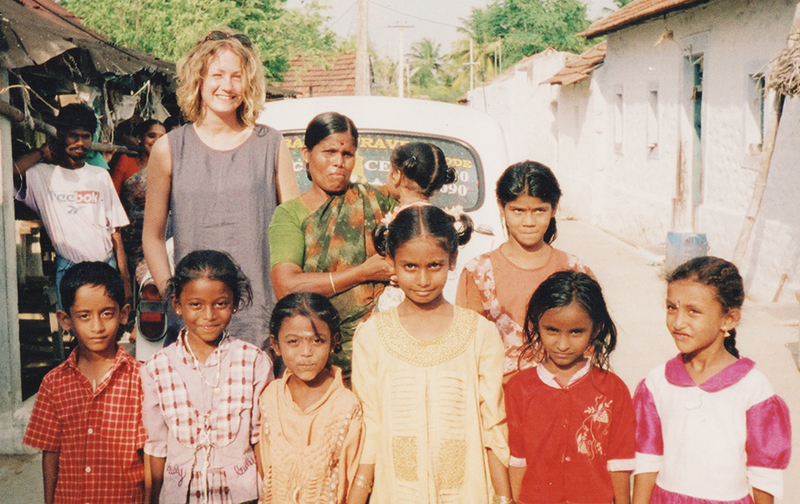 A gigantic looking me, with villagers in India. I was hands-on, I got to talk to people about ideas they had about how to make clothes, I got to play around with fabric to create garments rather than just draw imaginary garments on a computer screen and I got to sit beside machinists while they made the clothes. The brand was (and still is) a success; within a few years I saw my designs stocked in Harrods. I loved that job and am incredibly proud of what I did there. 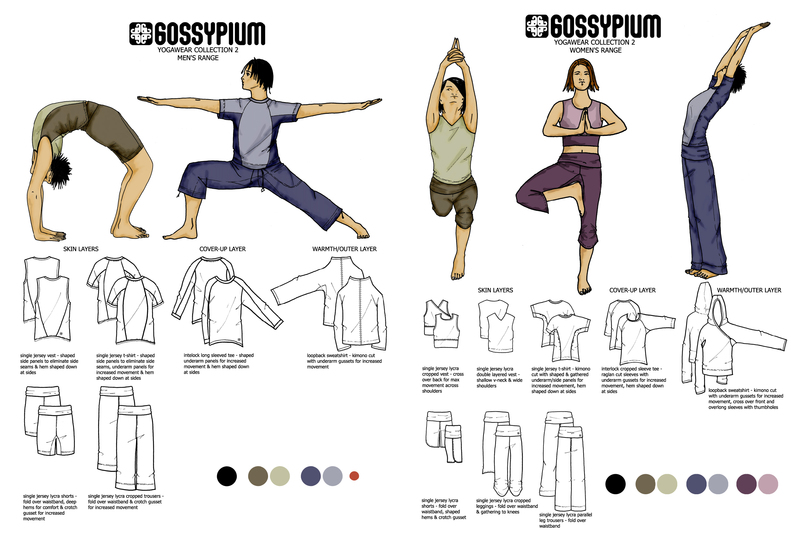 Some of my designs for yoga wear created after months of research when working for Gossypium. Research which involved observing and taking part in yoga classes and talking to yoga teachers about what they needed from their clothes, then endless toiling to try out ideas of shapes and details, research which I wouldn’t have been given the luxury of undertaking in previous design jobs. 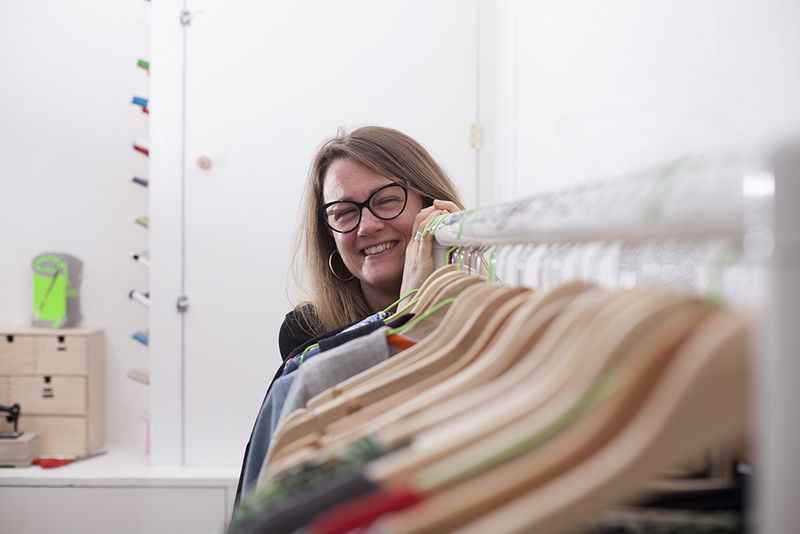 Blackburn based Community Clothing (http://communityclothing.co.uk) which was championed by Sewing Bee’s own Patrick Grant, making affordable basics in UK factories’ quiet times between orders providing work and so avoiding lay-offs. Resurrecting Hebden Bridge’s former nickname of “trouser town” Hebtroco (https://hebtro.co) is producing trousers locally again. This little town in the beautiful hills of West Yorkshire got its nickname after producing 20,000 pairs per week at its height! Slow Fashion October (https://fringeassociation.com/2016/10/17/why-i-make-my-own-clothes/) is a yearly event organised by Karen Templer of Fringe Association to champion making your own clothes in a slow and ethical way. Fashion Revolution (http://fashionrevolution.org) is a movement which champions ethically made fashion and questions clothing brands to answer the question “Who made my clothes” in an attempt to encourage more transparency from the fashion industry. Labour Behind the Label (http://labourbehindthelabel.org) is a UK based campaign that works with NGO’s and other organisations to improve conditions and rights for garment workers across the world. Clean Clothes Campaign (https://cleanclothes.org) is an international organisation which works to improve working conditions across the garment industry globally. Ethical Fashion Forum (http://www.ethicalfashionforum.com) is a network which aims to connect designers, brands and manufacturers to enable them to produce products in transparent and sustainable way. If you want to use more sustainably produced fabrics in your sewing, have a look at my post Where To Buy Sustainable Fabrics. a quote from the interview with the Bangledeshi lawyer that for me sums up the problem: “rather than bleeding heart stuff, you should pay for what you believe in”. Advice we could all do well to follow. This entry was posted in Sustainable Sewing, The Fashion & Craft Industries and tagged clean clothes campaign, ethical fashion, fashion revolution, how are clothes made, informed consumer, knowledge is power, labour behind the label, make a difference, slow fashion, sustainable fashion, Sustainable Sewing, uk fashion industry, Wendy Ward, what is ethical fashion, what is slow fashion, what is sustainable fashion, working in the fashion industry. Bookmark the permalink. I very recently got into sewing and many things you said resonated with me. Funny enough, when I told people I purchased a sewing machine and will give it a go at making my own clothes, the resounding response was “you know it costs more to make than to buy?” My response to them was it may cost more, but I look at it as a very rewarding and fulfilling challenge. As I mature and settle in, I question at what cost to others is my quest/desire for a bargain. I’m not talking about paying $200 for a tank top by Kanye West or something equally ridiculous, but I wonder about the person at the other end who made a garment I purchase for $5(I live in the US) and when it does not last for a year, some people complain. Far too many times, we look for cheap/fast things. Fast fashion, fast food, fast everything and then scoff that the low quality of products we buy at a low price of $9.99. Your post really drives the message home and I hope more people continue to embrace the idea of doing things by hand. Whether it’s baking bread at home or making a simple summer dress – just the thought that you made something by hand is rewarding and also leads you to recognize and respect the people who do this work. I’m so glad my post resonated with you. It’s a conundrum that puzzles me daily about human nature, I think much of society today have their priorities seriously skewed. People can happily spend their money on over-priced coffee from multi-nationals, buy a new car every year and go on lots of foreign holidays, but expect their clothes to cost little more than their coffee. Let’s hope that slowly we can get the message out there that sustainable production, fair prices and valuing skills will lead to a better world for everyone! Hi Wendy, nice post and great to learn about you and your experiences. I am glad you say that you are ok with RTW when needed and trying to do your bit by buying from a reputable company etc. As well as the human / ethical element you highlight here, I think we need to consider our own consumer behaviour, how much fabric we buy and use and whether many of us end up unwittingly do “fast sewing”. Hard to avoid it with instagram inspiration, sewing challenges etc. and the number of shops around but I think its still important. I have started writing a little about fabrics and sustainability on my blog to try and highlight this a bit. Look forward to reading more on the sustainability theme from you. 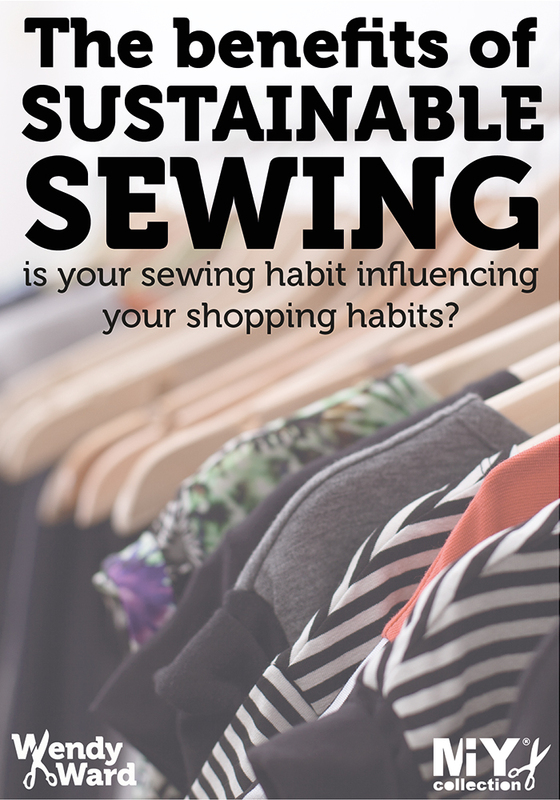 Glad my post resonated with you and your point about “Fast Sewing” is exactly my point in this post and the previous one: https://wendyward.wordpress.com/2017/12/27/where-to-buy-sustainable-fabrics/ I do wonder if sewing and fabric shopping for some people has replaced an out of control shopping habit. There seems to be very little shame in the sewing community in buying copious amounts of fabric with unknown provenance and then not using it! I also look at some blogs and wonder how it’s possible for the bloggers to a) wear all the clothes they’re making and b) where they keep them all! !